Modem Most modern laptops include built-in modems. Unfortunately, most of these on x86 laptops are software modems that require special drivers. Such drivers are rare in Linux. You can check http://www .linmodems.org for information on these devices. In most cases, you'll have to install the modem drivers after you install Linux. If your built-in modem doesn't have Linux drivers at all, you can use a separate PC Card or external RS-232 or USB modem. If you buy a PC Card or USB modem, be sure you get one that's supported by Linux. Networking All modern Macintosh and some high-end x86 laptops include built-in Ethernet support. Before buying the laptop, be sure Linux includes drivers for the Ethernet chipset. If your computer doesn't have Ethernet support and you need to use it on a network, you can buy a PC Card or USB Ethernet adapter. (PC Card adapters are preferable.) If the card is inserted when you install Linux, it may be detected by the installer and can be configured as described in Chapter 2. Once the card is configured, most distributions will automatically detect whether or not the PC Card Ethernet adapter is inserted at system boot time, and then they will configure networking appropriately. Display The single biggest problem with running Linux on laptops relates to the display. Specifically, the LCDs used on laptops tend to accept only a very narrow range of horizontal and vertical refresh rates. (These are discussed in Chapter 2.) Therefore, it may be difficult or impossible to get a GUI installer running, and when it comes time to configure X, you may or may not be able to find a working configuration. Even if a system works, it may not work at the optimum resolution. Because LCDs are built from a fixed number of discrete pixels, they work best at a single resolution (usually 800 x 600 or 1024 x 768 for laptops). Running in a lower resolution usually produces a chunky display. Another factor is that, because laptops' display circuitry is not removable, whatever video chipset a laptop uses must have Linux support if you expect to use the laptop with X. Before you buy a laptop or attempt to install Linux on one, check the Linux on Laptops Web page (http://www.linux-laptop.net). This Web site includes links to many user-maintained sites concerning running Linux on specific laptop models. You can obtain useful tips and configuration procedures, and you might even pick up some working XF86Config files, from these pages. 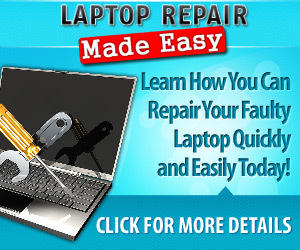 The main Linux on Laptops site also includes links to information on useful laptop utility programs and other information. If you have trouble installing Linux on a laptop, you might do well to try another distribution, or try using a distribution's text-mode installation routine, if it has one. Sometimes video or other problems simply prevent a distribution from installing. For instance, I've tried installing various versions of five distributions on my own laptop. One installed fine using its GUI installation tools. Two didn't have GUI installation routines, and installed fine using text-mode tools. One distribution didn't install at all in an older version, but a newer version worked in text mode only (the GUI installer failed). The fifth distribution wouldn't install at all.